Venice is a unique city, and has unique problems that are difficult to solve. Trash collection is one of them. 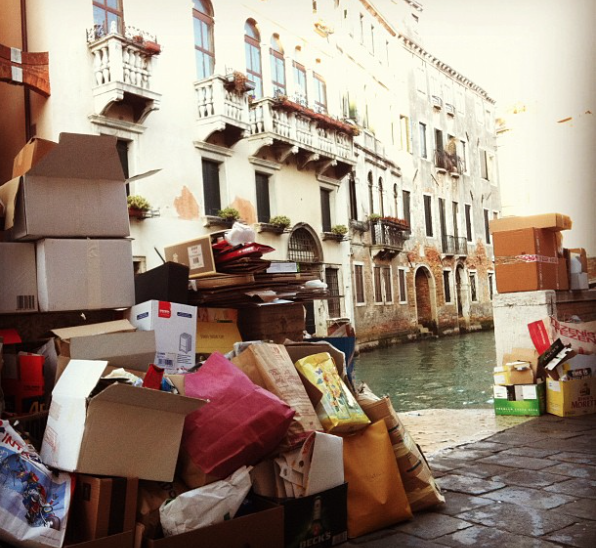 Trash in Venice has to be collected on foot which is labor intensive and expensive. Men with wheelbarrows cruise the alleys and canals collecting trash. A large number of plastic bottles end up in the canals each day. From October 4th, 2016, Venice has changed their trash collection system. It’s now illegal to leave trash bags on the street or in front of one’s building door, as they attract mice, seagulls and pigeons, who open the bags and spread the trash around. 1) Take your trash bags between 6:30 and 8:30 am from Monday to Friday (Sunday and holidays excluded) to the trash boats located on certain streets. 2) Wait for the trash men to buzz your building between 8:30 am and 12:00 (noon) to collect the trash. If you’re caught disposing trash anywhere else, it’s a 167 euro fine! Each “Sestiere” has its own trash collection site, which you’ll have to inform yourself about. Regarding the issue of plastic bottles, there are over 100 drinking fountains with good, safe, free water in the city, so buy your own re-usable bottle, or just keep using one plastic bottle, during your travels. 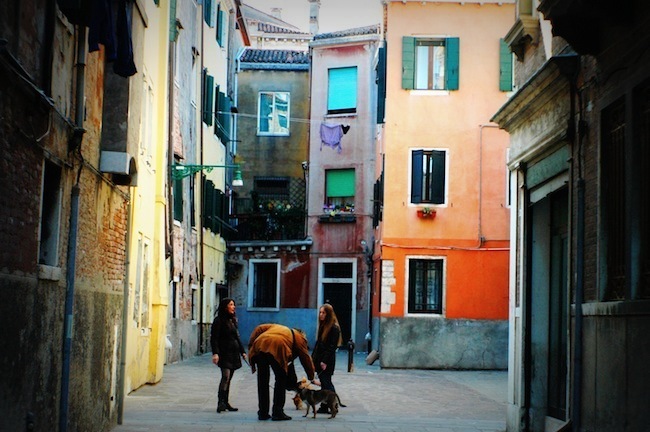 Venice is made up of 6 neighborhoods called Sestiere, the islands of Giudecca, and Venice Lido, and then the surrounding islands like Murano and Burano. All of it is gorgeous and picturesque and in general, it’s small enough to get around easily on foot. Below we’ve described what the different neighborhoods feel like to us, with some pictures to give you an idea of each one’s particular character. 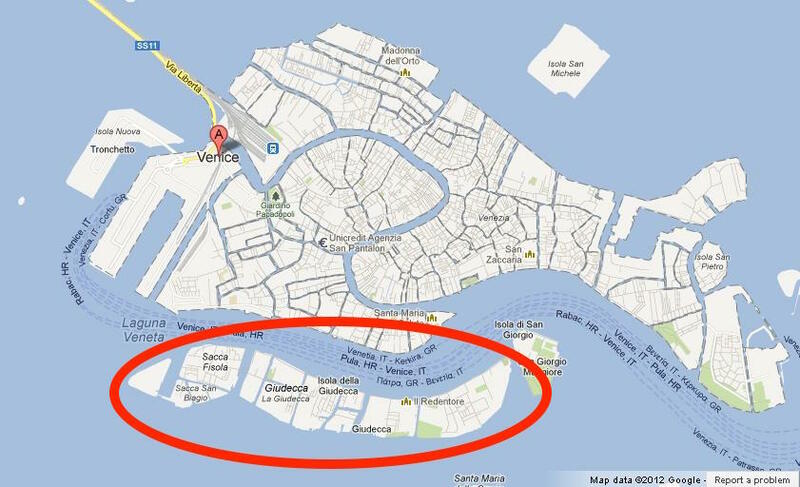 For a map of Venice, and an overall guide of where to stay, read this earlier post. Santa Lucia – The area around the station, and technically in Canareggio. In a certain sense, not unlike the area around most train stations in most cities. Pretty commercial. But convenient. Parking is close by at Piazzale Roma. 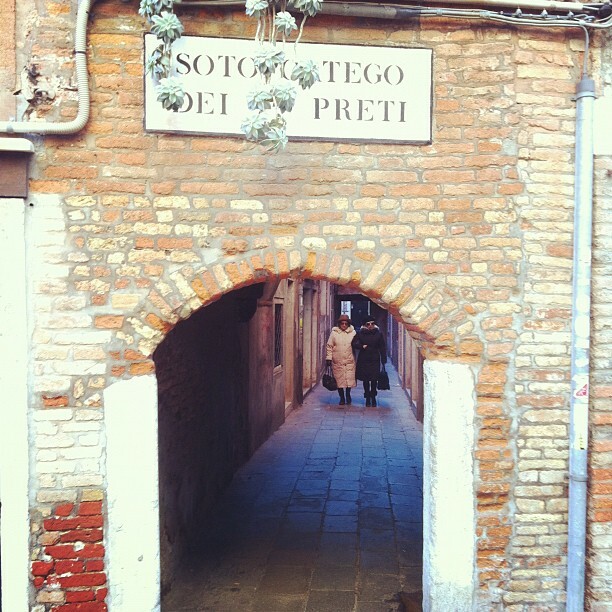 The Gheto - The Jewish Gheto of Venice, also technically in Canareggio and near Santa Lucia train station. Small, but characteristic. There are three squares – Campo de Gheto vecchio, Campo de Gheto novo, and Campo de Gheto novissimo. Most people, even the Gheto resident’s, won’t know which is which. It doesn’t matter: one is right next to the other and they’re all connected. Jewish and Middle Eastern flair, nice eateries (mostly kosher, of course), art and religious shops. There’s a fairly big (kosher) B&B with nice garden. And then there’s of course the Synagogue; actually not one, but seven! 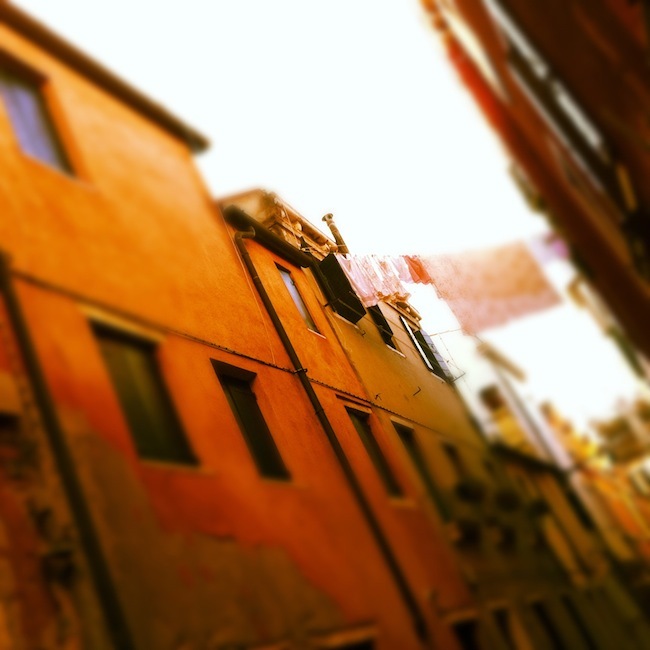 Cannaregio - Both touristy and not, commercial and artisan at the same time. There’s the large ‘Strada Nova’, a newish and largish street, the only ‘real’ shopping promenade of Venice. Good for a stroll and window shopping (and ice cream of course — try GROM!). Contrasting the Strada Nova, there are many small streets, with hardly any tourists but kids playing and residents chatting. Small artisan shops if you like to watch or buy traditional crafts. 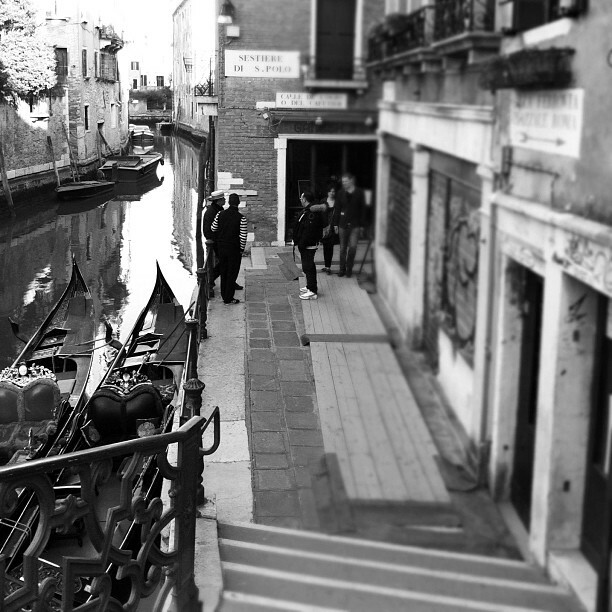 Dorsoduro – Upper-class Venice. Sestiere Dorsoduro is the most elegant neighborhood in Venice, with its larger (and lighter) streets and houses on the grand canal. 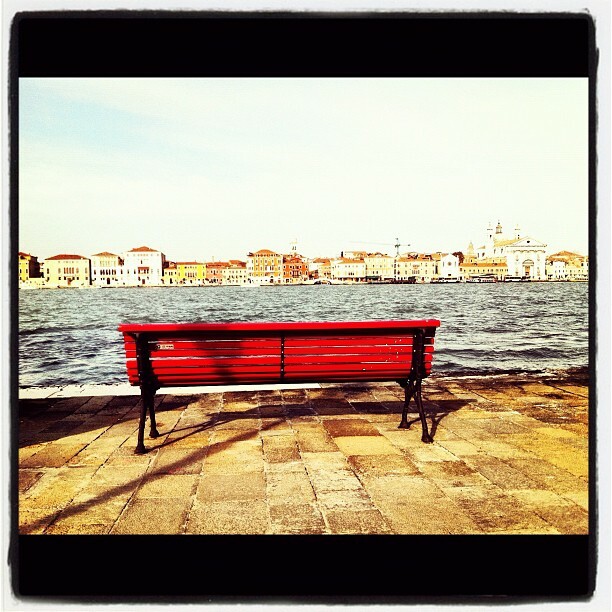 A view on the grand canal is different from a view on just any canal. Light, air! This is where “La Venezia bene” used to live, and still does. Elegant houses, some with gardens. The canal here won’t be smelly! San Polo – Touristy, but also not. 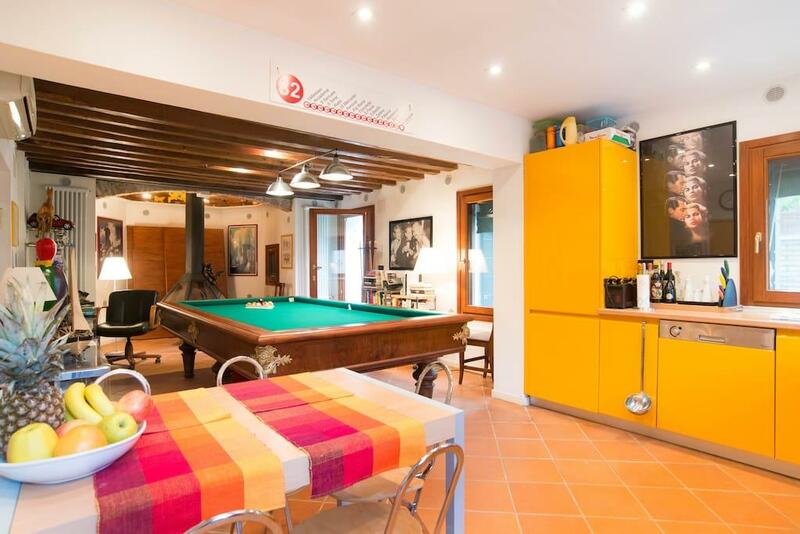 Convenient – close to the Rialto bridge, and hosting the only ‘real’ market in Venice, “Mercato del Rialto”, famous for fish and other fresh produce. A good choice if you want to be able to walk everywhere easily and quickly without being suffocated by tourists. Also supposed to be the “Foodie” area with lots of restaurants and more alternative places (tea rooms, ethically mixed cuisine, etc). Santa Croce – Similar to San Polo. Touristy, but also not. Feels a bit less dreamy and time-capsuley than the more traditional neighborhoods. You’re close to Piazzale Roma (parking, bus hub) and the train station (across the canal, big modern bridge). A good, central, mostly residential neighborhood. San Marco – Mostly touristy, but super central. This will work out great if you only have little time in Venice. From here, you’ll be able to see most anything of major interest, without your feet blowing up in smoke. 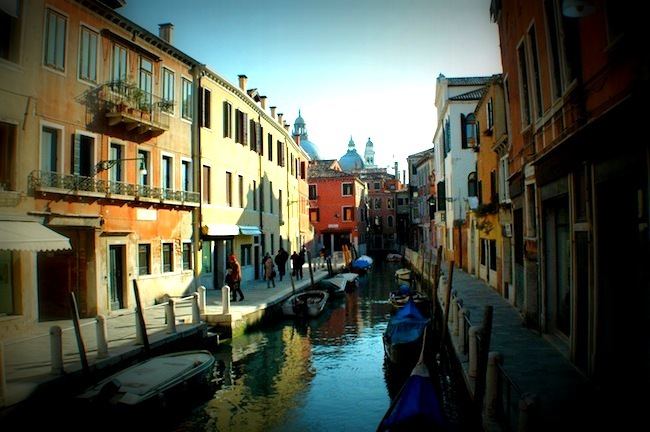 Castello – The largest neighborhood, considered truly the Venice of Venetians. Middle-class, lots of street life, alternative culture, a large park (‘giardini’), this is where most students, artists and working-class Venetians live, and you can feel it. It’s real and pretty unpretentious. Great food, great prices. On the one hand calm with hardly any tourists, on the other hand very lively with people living their neighborhood. Via Garibaldi s a nice (and large) street to hang out on. The park is a pleasant respite. 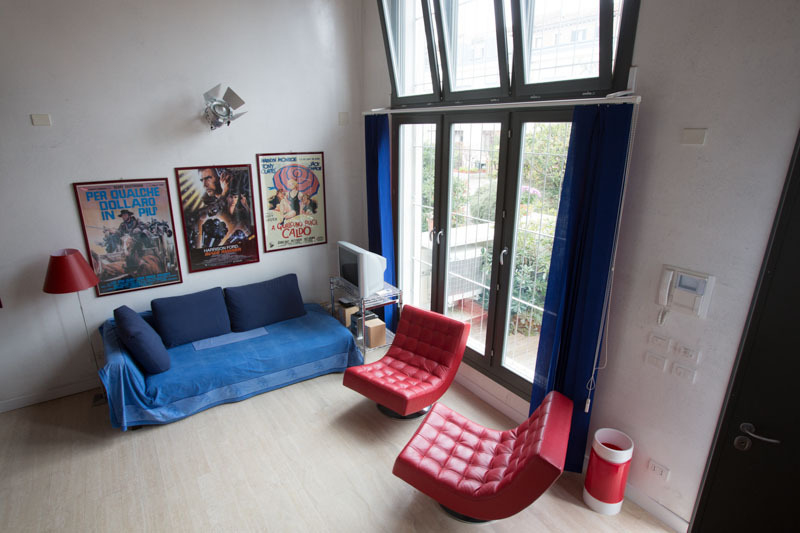 A ‘centro sociale’ for sub-culture music, theater and cinema. Personally my favorite neighborhood – did I give that away? I love all of Venice though. For a ’different Venice’ experience there’s Giudecca and Venice Lido – I’m putting them in the same category even though they really haven nothing else in common, except that they both represent a different side of Venice AND that you will definitely need to take the water boat to get to them. 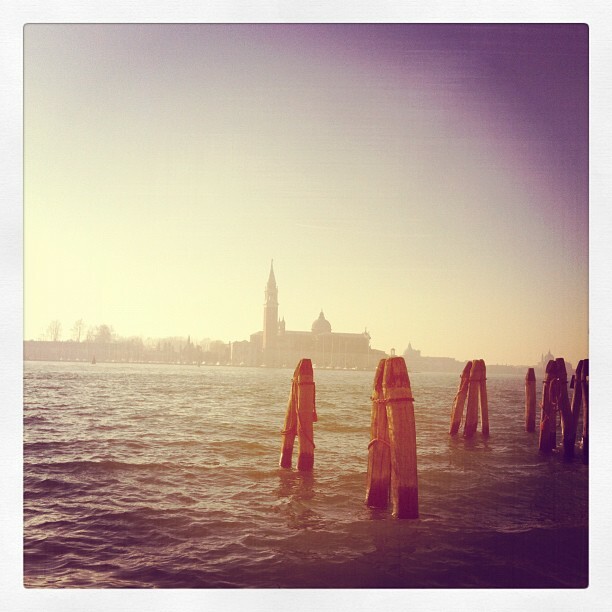 From Giudecca to Saint Mark’s takes about 2 minutes; from Venice Lido it’s about 15 minutes. The boat trips are about €6.20 one way but if you plan on taking the waterbus more than a couple of times anywhere in Venice, you should get a 3-day or 5-day pass with unlimited rides. 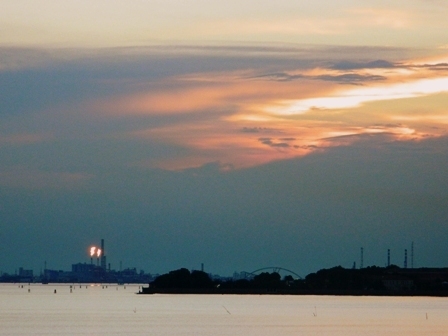 Giudecca is a younger part of Venice, but still goes back a few hundred years. It’s a very blue-collar neighborhood. 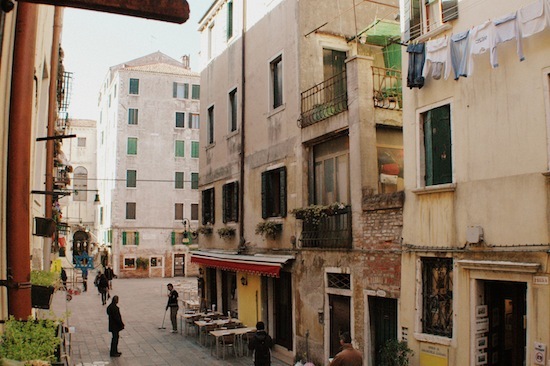 Here, houses are slightly more modern than in the rest of Venice. You have some green areas, and houses with gardens. It’s very non-touristy, as it’s detached from the rest of Venice and there’s no bridge over the canal. 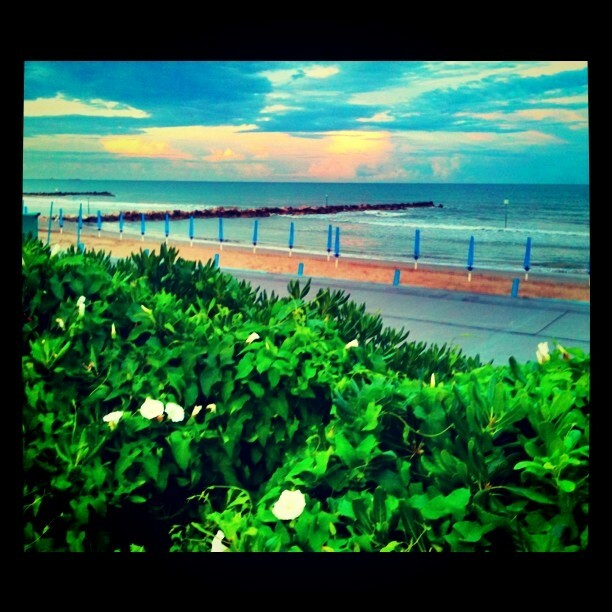 You get a beautiful view of the rest of Venice! Venice Lido is for the beach girl/boy in you. Or the one who never got over Death in Venice. Or the cinema groupie. Actually, it’s also the best choice for those who don’t want to feel like they’ve travelled in a time-machine and appreciate the commodities of modern life – cars, buses, elevators – in Venice Lido you get all that. 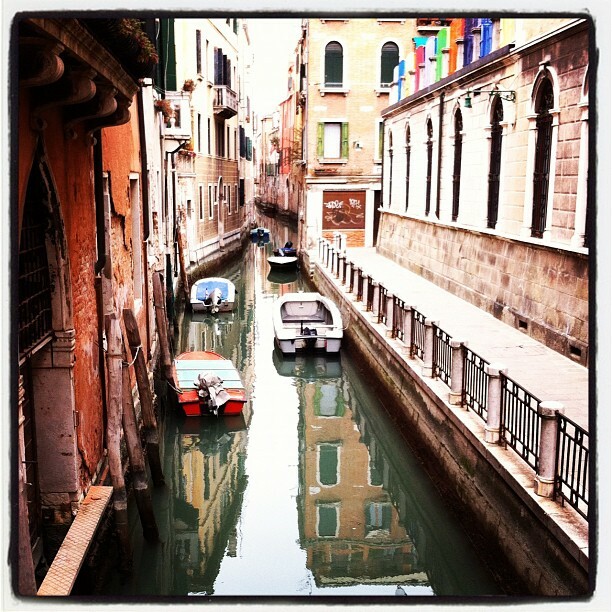 Venezia Mestre – This is not actually Venice, but it’s close enough, distance-wise. 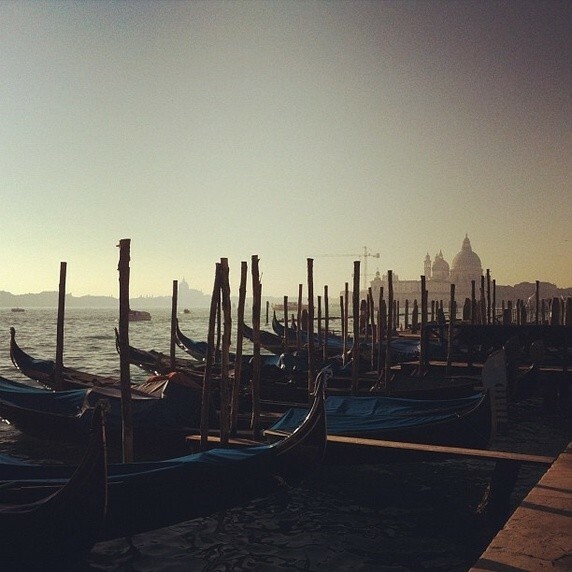 A few minutes on the train or bus and you’ll be in Venice. And so much cheaper! 1. Venice deserves a real stay, not just a hit and run. Of course, two days in Venice is better than zero days in Venice. Many people have limited time and a long list of places they want to see, and the common misconception is that Venice is so small, one or two nights will do. Beyond a lot of churches, monuments, museums, galleries, art, food… in other words, the old spiel that’s true for pretty much every Italian city, there is a unique silent beauty all around. The light reflecting in the water basically everywhere, the silence (no-cars-no-cars-no-cars!! NO CARS!!) and the calm that comes with that. The fact that it’s an island — in so many ways. Every day in Venice, I felt like I was quietly rehearsing my role in an important play on a beautiful stage, and everyone was doing the same. 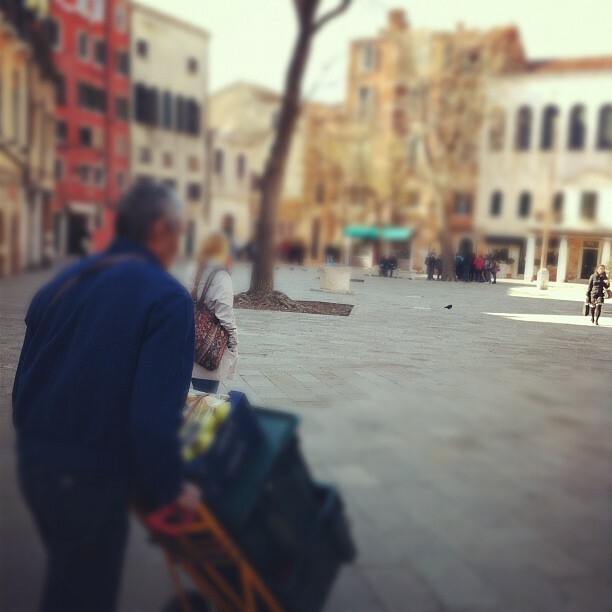 We all know there’s something special about Venice, but it’s hard to grasp how very special that something is. Give yourself enough time to settle into the spectacle, and enjoy it fully. What? Yes, you read right. It’s super-über-nauseatingly touristy during high season — but only in the touristy areas. As soon as you step out of them (which is easy as they are so concentrated), you’re just that little actor in the big play again. Many neighborhoods in Venice are very genuine, with extremely nice people (Venetians have a great sense of humor) and ‘Venetian integrity’. Think Sestiere Giudecca, Castello Basso, Cannaregio, S. Croce and S.Polo. They all have their touristy spots, but the rest remains pretty much untouched! 3. It’s a party on the beach. Venice Lido is just a 15-minute ride on the vaporetto (water bus). Once there you’re on an island with the true feel of summer: sand, beach, and relaxation. And if you happen to go during the Biennale, there’s cinema too. There are many famous movies and books set on Venice Lido, Death in Venice by Thomas Mann being the most famous. 4. The lagoon around Venice is extremely ‘rich’ with protected wildlife. Most people only experience the city center, and perhaps the beach. In the surrounding lagoon you can birdwatch, hike, take a trip to Burano (with its colorful little houses) and Torcello (a special flair, only 15 residents, most of them over 90 years old!). 5. 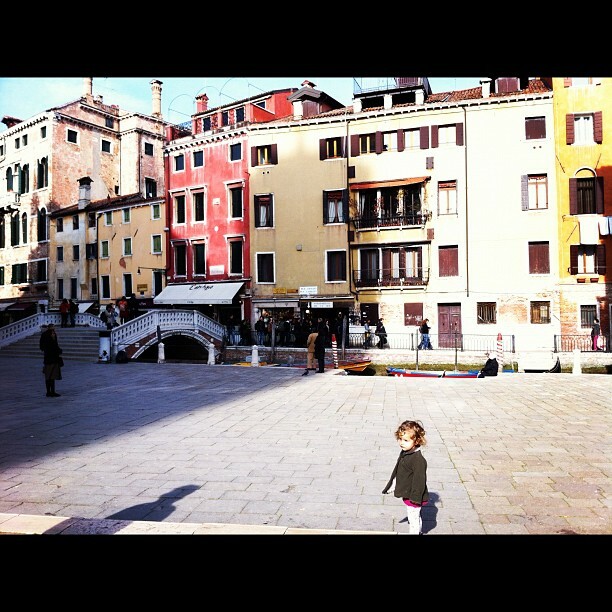 Venice is GREAT with babies and toddlers. Babies — you can just carry them around all day. They’ll love the soft splash-splash of the water and being lulled to sleep. They’ll love to be walked around in that perpetual state of nodding off. Toddlers will love the variety of boats. They’ll enjoy the Venetians musically raving about them and the treats they’ll be handed while having their cheeks pinched. They’ll love the pigeons (it’s not as bad anymore! just a handful of pretty healthy birdies). They’ll love the bridges with steps (endless ups and downs!) and they’ll love the fact that they can pretty much run freely everywhere without having to worry about traffic. If you need or want to take a stroller along, these days many bridges are wheelchair accessible and there is a special wheelchair ‘parcours’ (LINK) which will make pushing a stroller around much easier. 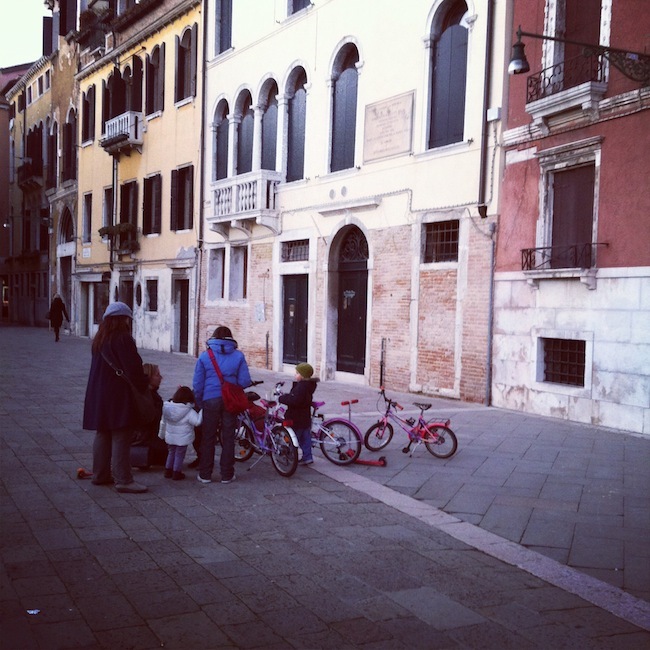 Also, the owners of Casa delle Rose offer a service for baby equipment called Venice Baby Rental. 6. Venice is a perfect example to demonstrate that we really do have a problem with our waste on this planet. You knew we have a trash problem already, I hope! Venice is small. It’s an island. Most of its streets are narrow. No cars or trucks can drive by and get that waste out of your field of vision (and with that, out of your mind, right?). 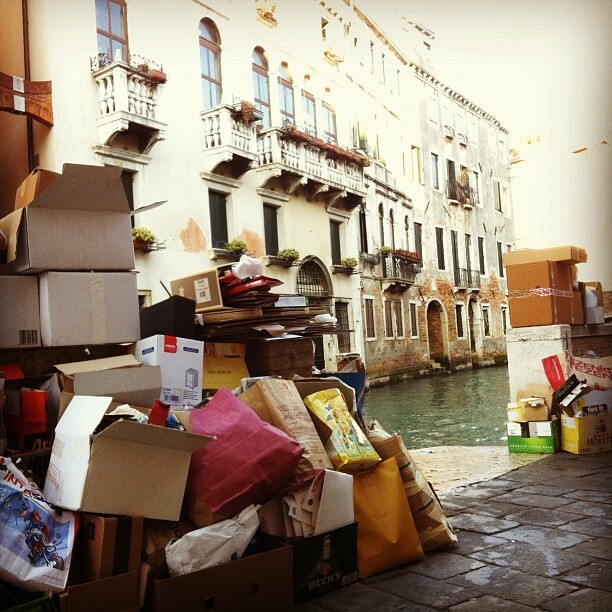 Venetians know what a true WASTE PROBLEM is. They have to be super-organized with their garbage, otherwise in the blink of an eye things can turn from a problem into a full blown catastrophe, like finding their city literally buried under waste. Avoiding making trash should always be the key. And then recycling, of course. In Venice you need to be very punctual in timing your trash-disposal. This is particularly important if you are renting a vacation home and need to be responsible for your own garbage. Waste is to be deposited in the streets, within a certain time frame, typically between 6 am and 10 am ONLY. Not before (say, during the night. Rats, anyone?). It’s not a joke – listen carefully to what your host has to say about disposing your trash. 7. The postman is your best friend! If you are as naive as me (probably impossible) you’ll arrive in Venice, look at an address (which is typically just an indication of the neighborhood plus a number, so ‘Castello 2915′ or ‘Cannaregio 5960′) and without hesitation hit the street for that number, thinking you’ll find the place in no time. Ha! Don’t be fooled. Unless for some reason you are incredibly lucky and just stumble upon it, you could be doomed forever. Numbers in Venice are no joke — or, are they? There is basically no logic to it. You could be looking at a ’6789′ and the next house down will be a ’3546′. There’s only one solution – find a postman! They are the ONLY ONES who know the numbers. That being said, if you want to find a place, don’t write it down with the address being ‘Sestiere XY, number xyxy’ but rather find the nearest PIAZZA, or ‘Campo’, as they are called locally. 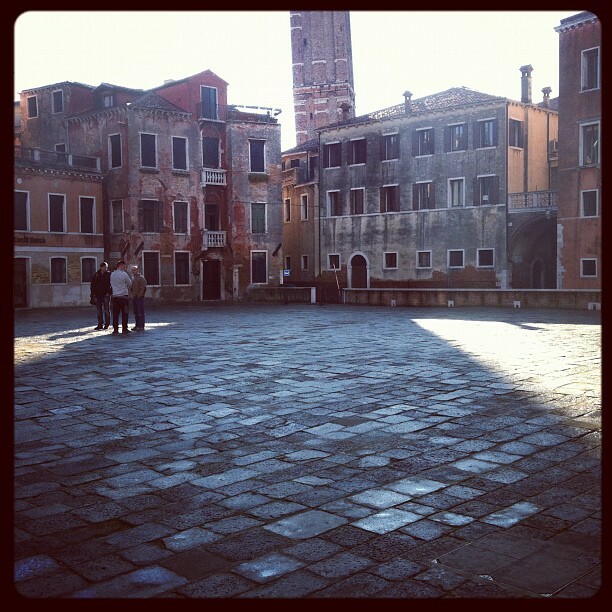 In Venice only Saint Mark’s is allowed the name ‘piazza’ (square); all the other minor squares are called ‘campo’. 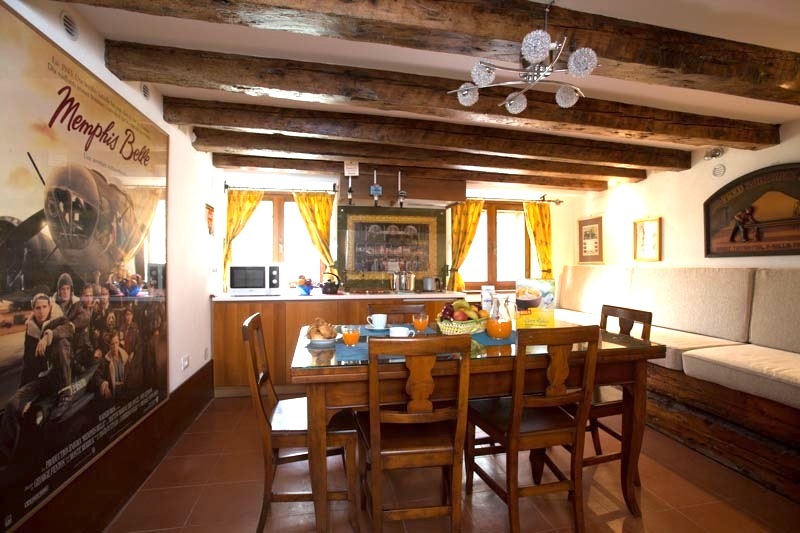 This will also distinguish you from the category ‘tourist’ and bring you closer to being a true Venetian. 8. Venice might change your life. If you only go for 2 days, you will probably confirm that it’s as gorgeous and romantic as you thought it would be. Or, you might think you’ll NEVER want to go back – if all you see is the heavily touristed side. 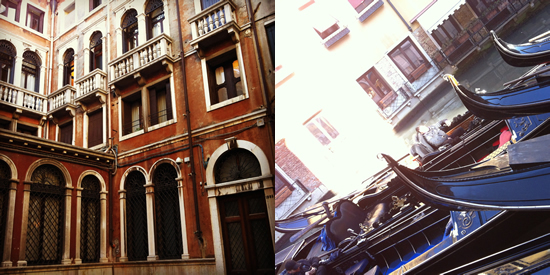 With no cars and all that beauty, Venice seems otherworldly. The different rhythm of life makes you question a lot of things, pulls you inward.Venice is not just about seeing Venice but feeling it. ”Life without cars” – my favorite phrase. Can you even even IMAGINE that? Laura Bauerlein is half Italian, half German and grew up mostly in Rome. 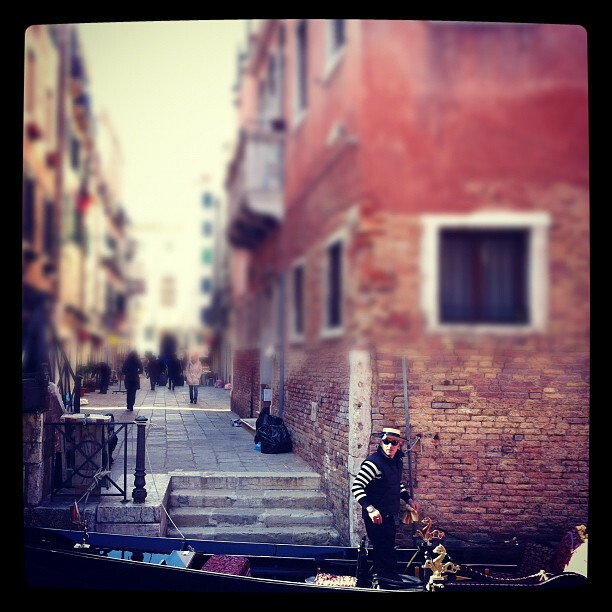 She’s affectionately known as the Cross-Pollinate gypsy and Venice expert. She recently spent a good deal of time there with her partner and 2-year-old daughter, meeting owners and inspecting properties.